First of all, my warm welcome to all of you! 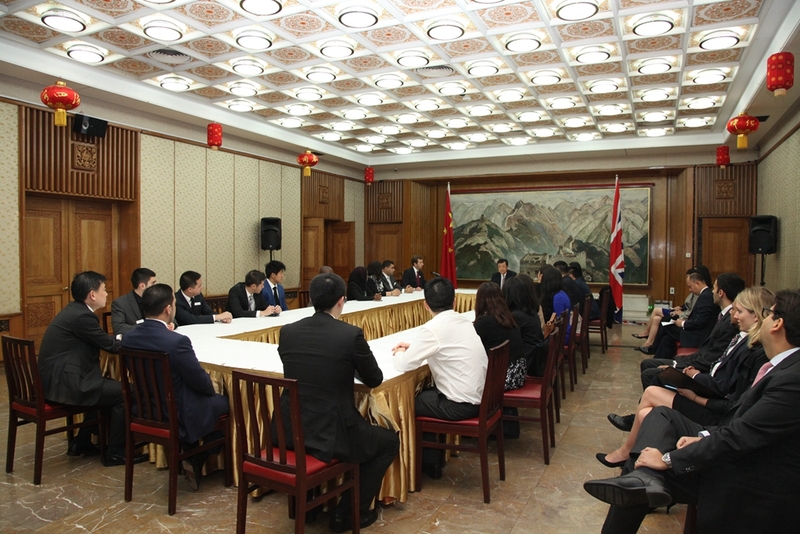 It is a great pleasure to host you, the participants of the Future Global Leaders' Programme, here at the Chinese Embassy. The organizer of the Programme, Standard Chartered Bank, asked me to brief you on China's development prospects, or in other words, where China is going. I am most delighted to oblige. So, where is China going next? We could try to answer this question by understanding the 'four comprehensives'. to strengthen all-round Party discipline. Let me go over these 'four comprehensives' one by one. The first objective is to build moderate prosperity in all respects. This objective applies to everyone regardless the specific regions they are from. No one will be left behind. It also applies to all fields of everyday life – economic, political, cultural, social and environmental. The most eye-catching economic target for moderate prosperity is "doubling the GDP and per capita income of 2010 by the year 2020". This means that by 2020, China's GDP will reach 100 trillion RMB yuan in total and 10,000 US dollars in per capita terms. It is by no means easy to achieve moderate prosperity in a country with a larger population than the United States, Japan and the European Union combined. However, we are confident that we can achieve that. If we can keep China's economic total and per capita income growing at around 7 percent, moderate prosperity will be within reach. In 2014, growth in China was 7.4 percent. In the first six month of this year, we hit 7. Meanwhile, energy consumption per unit GDP has been dropping, consumption's contribution to growth has been increasing, and the quality and efficiency of development have been improving. This is known as the economic 'new normal', and it shows that China is moving steadily closer to moderate prosperity in all respects. The second objective is to deepen reforms in an all round way. After over thirty years of reform and opening-up, China has achieved remarkable progress and is standing at a new historical juncture. The overall objective of deepening reforms is to improve and advance the socialism with Chinese characteristics and to modernize governance system and capability. Here, economic structural reform is the focal point. The key to this reform is to properly handle the relationship between the government and the market. We must let the market play the decisive role in the allocation of resources. At the same time, we should use the visible hand of the government well. The overall reforms aim to promote social equity and improve the wellbeing of the general public. Once completed, they will further enhance the productive forces and release economic dynamism. This will help bring about sustained and sound economic development and social progress. The third objective is to advance the rule of law in every aspect. China is set to build a socialist rule of law with its own characteristics. Some of my western friends find it hard to understand the relationship between the leadership of the Communist Party of China (CPC) and all-round rule of law. They would ask me, who calls the shot, the Party or the law? This is my answer. In China, law-based governance needs a central leadership that manages the big picture and coordinates all the different sectors. This is the historical mission for the CPC and its government alone. While leading the nation forward, the Party must operate within the bounds of the constitution and laws. No policy of the Party, no Party group, and indeed, no one from the Party is above the law. Party members who violate the law will be brought to justice regardless their rank or status. To advance rule of law in every aspect means that China must adopt a holistic approach in strengthening rule of law. That means building a law-based country, a law-based government, and a law-based society. It requires scientific legislation, strict enforcement, judicial impartiality and law-abiding citizenship. The fourth objective is to strengthen all-round Party discipline. In contemporary China, the future of the CPC and the future of the nation are closely bound in the most crucial "community of common destiny". The Party is going in full steam to improve self-conduct. This is aimed at strengthening the Party's capability of self-rectification, self-improvement, self-innovation and self-upgrading. In this process, there will be zero tolerance for corruption and the Party will continue to enhance its governing capability. By strengthening self-discipline, the CPC will serve as a strong central leadership that will lead the country to achieve the Chinese Dream and realize the great renewal of the Chinese nation. With regard to China's future, there never has been a shortage of prophets in the West. Some are optimistic. Others are pessimistic. To the pessimists, China's rise will inevitably lead the country down the beaten path of hegemony. However, as a diplomat, I am always an optimist. I am full of hope and confidence in the future of China. Recently, China held a grand commemoration of the victory of the Chinese People's War of Resistance against Japanese Aggression and the World Anti-Fascist War. At this event, Chinese President Xi Jinping solemnly proclaimed once again to the world from the Tiananmen rostrum that "China will remain committed to peaceful development". "No matter how much stronger it may become, China will never seek hegemony or expansion. It will never inflict its past suffering on any other nation." President Xi went on to say: "Let us bear in mind the great truth of history: Justice will prevail! Peace will prevail! The people will prevail!" These 'three prevails' not only summarize the history but also herald the future of China. They will lead China from victory to prosperity, from moderate prosperity to all-round national renewal. China will steadfastly pursue the independent foreign policy of peace. 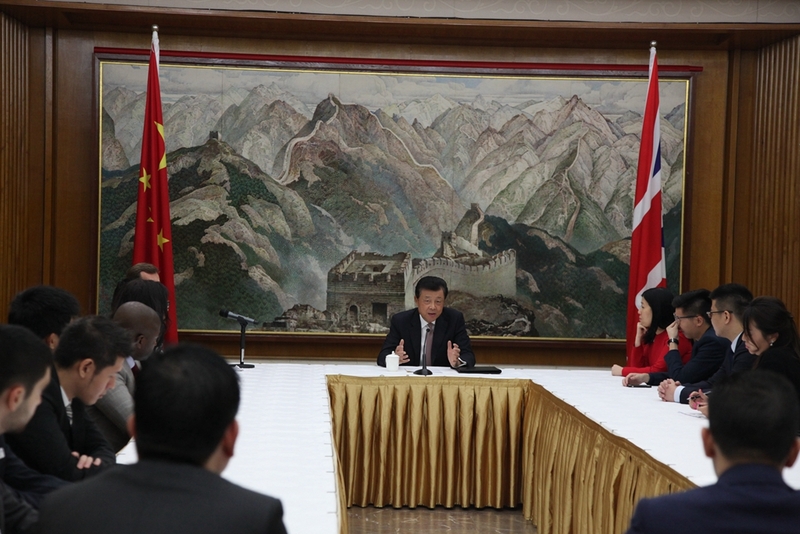 China will be firmly committed to peaceful development. 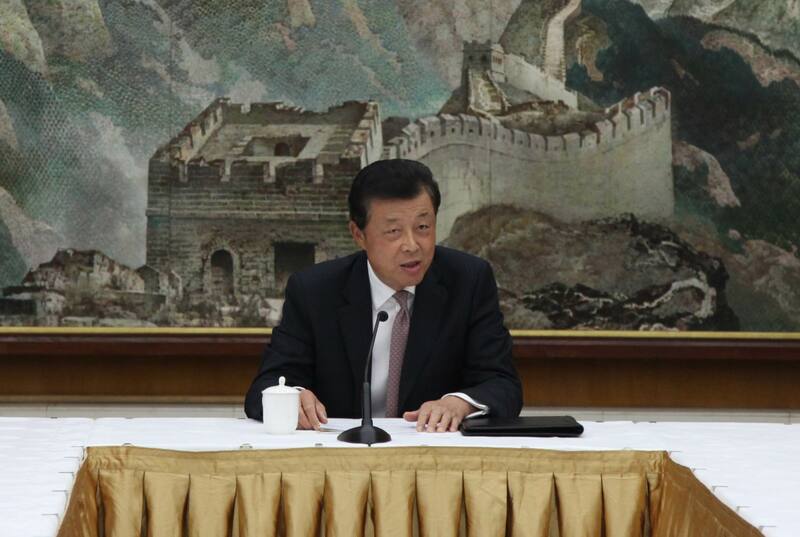 China will steadfastly pursue the opening-up strategy that aims at win-win results. China will firmly uphold justice while advancing shared interests for all. In short, China will work to promote a new type of international relations of win-win cooperation. Development is the bedrock of peace. Through its own economic development, China has contributed enormously to world peace and stability. For the past three decades, China has consistently served as one of the main drivers of the global economy. Since the international financial crisis, China has actually become the largest contributor to global growth. Recently, China has come up with innovative new measures as seen in the 'One Belt and One Road' initiative and international cooperation on production capacity. These measures will help more countries to speed up growth. They will be China's fresh contribution to world peace and development. Now, I am ready to take to your questions.